There's a National Mustang Day? Yep. Even though its officially April 17th, that’s a Monday and no one likes Monday’s. So it’s being celebrated here at Ford WHQ today. My dad and I went. 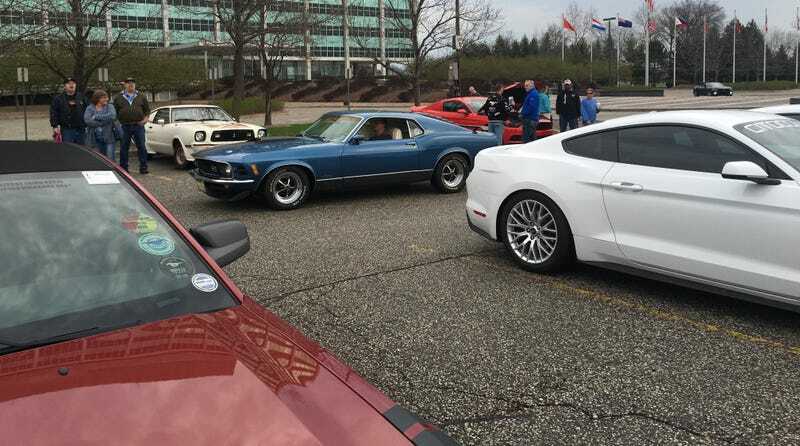 Lookit all these generations of Mustangs together. Now we’re off to see a private collection of cars. I’m so happy I was able to get my dad to take the morning off work for this.